Corvette wheels look SWEET on my S10!!!! I was very impressed with the quality of these wheels considering they are replicas. The polished lip is like a mirror, and the powder coating was flawless. They might be a little on the heavy side, but I didnt need light weight wheels. OE Wheels has provided yet another set or some of the best wheels (and prices) available. First I did my CLK55 AMG and now my 86 Mont Carlo SS. I used patented and engineered adapters to create a super agressive stance and stealthy look to an already cool car. Enjoy the photos. Cant be beat for the money. Had some imperfections on each wheel but not enough to be noticeable. I Love My Wheels....from OEWheels! I have bought probably 5 sets of wheels for 3 different Corvettes I have had in the past few years. I have never had an issue or a return with OEWheels. The wheels arrive beautifully packaged and always in mint condition. They are excellent quality and look terrific. My most recent purchase was a set of black thin spoke c5 18 inch square front and back rims with rivets. I had them before on my other c5 and I bought them again for my new c5 Z06. Even though some people criticize replica wheels I really enjoy the quality and good looks I get along with the great prices. They balance great and ride very smooth. I highly recomend OEWheels for your next wheel purchase. Love my wheels, shipped fast, no defects or anything. Will order again from this site one day. I recently bought, and installed these for my black 99 Camaro. Let me tell you; the quality, finish and the look of these wheels are unbelievable amazing! For the price, they cannot be beaten. Especially if you have a black camaro as I do. I would highly recommend these wheels they make the car pop as one. 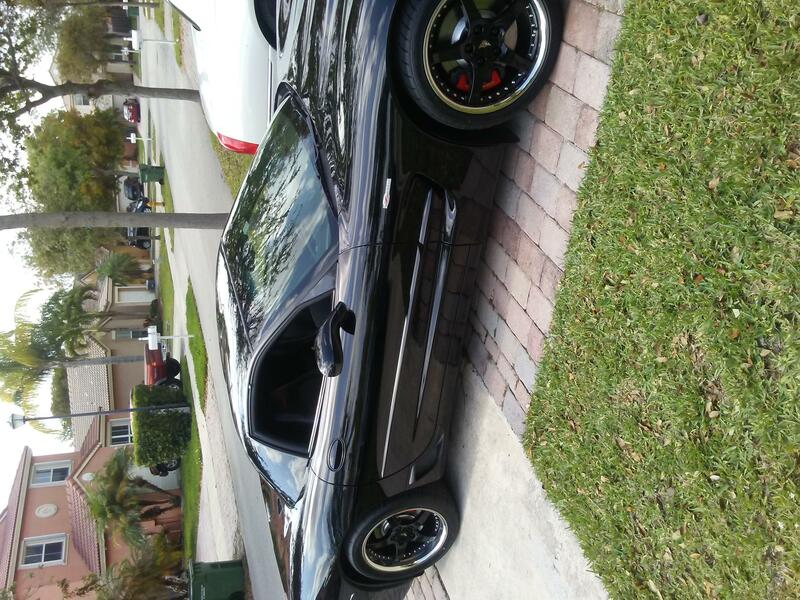 If I owned another black camaro these black C5 wheels would be the ones I buy. I love them! Thanks once again OE Wheels! Great wheels with great fitment @ an even greater price! I bought these for my 2001 vett and they are fantastic! I am very satisfied. The quality and price of these wheels is excellent. The pictures of these don't do them justice, they are beautiful. The 18 x 9.5 wheel weighs only 1lb 2oz more than my stock wheel of the same size. They balanced perfectly, very little weight required, no runout problems either. These are great wheels for the price.